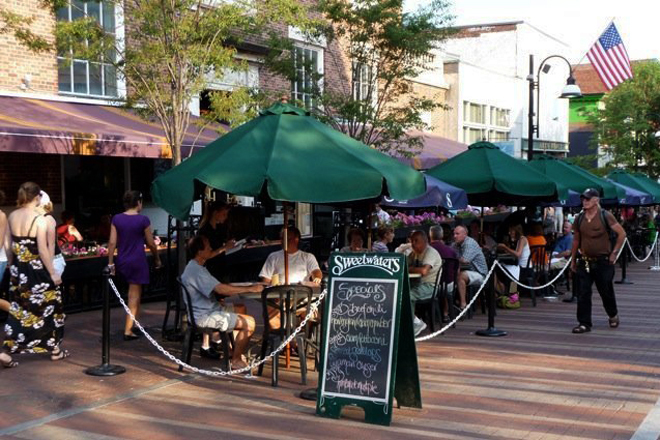 In a warm and welcoming atmosphere, diners can enjoy a drink, a light snack or a full meal at Sweetwaters Grill on Church Street in Burlington. 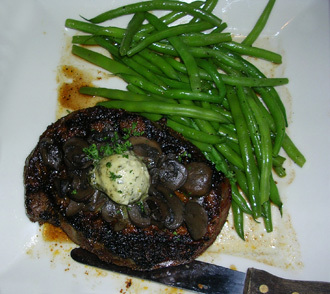 The menu offers a variety of tastes to please any palette, as well as diverse vegetarian and gluten free items. In winter the dining room covers two floors as well as a glassed-in side room at street level. With the warm weather, the seating explodes onto the street to celebrate the Vermont summer in its brilliance and brevity. Burlington is the largest city in Vermont, found in the northwest corner on the shores of Lake Champlain and home to the University of Vermont, Champlain College and Burlington College, with Saint Michael’s College just north of the city. The waterfront looks west across the lake to New York and the city is within an hour of the Quebec border to the north. In the heart of Burlington, you find Church Street, the downtown center for shopping, theater, dining and pedestrian marketplace. For thirty years in its location on Church Street, Sweetwaters has proudly supported local farms and is a member of the Vermont Fresh Network. You will find Vermont Cabot cheese, Misty Knoll Chicken, Green Mountain Smokehouse items, and Great Harvest Bakery breads, as well as local produce whenever possible. Sample appetizers are Bacon Wrapped Scallops, Buffalo Chicken Wings and Artichoke and Spinach dip, priced $8.95-$10.95. Hearty and delicious snacks on a cold winter day. On the lighter side, soups and a variety of specialty salads, from a House Side Salad ($4.50) to Roasted Beet and Goat Cheese Salad ($6.25) to the meal-sized Cajun Salmon Salad ($11.95). 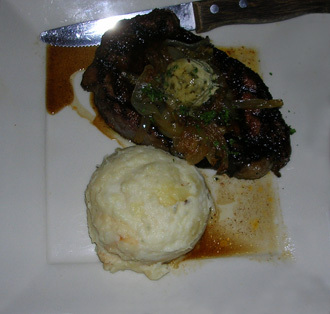 For the carnivore, the Cajun Ribeye Steak offers a 14 ounce bountiful meal with Cabot cheddar mashed potatoes and seasonal vegetables for $19.95. Ample portions are offered on the Bistro Favorites menu such as Homestyle meatloaf and Switchback Fish and Chips, both for $12.95. 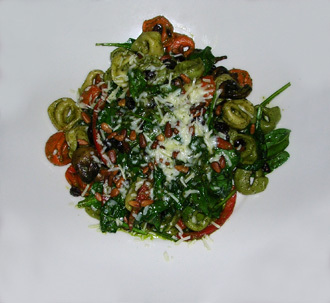 The Harvest Tortellini is a vegetarian dish that anyone would savor, with the surprising combination of peppers, cranberries and pine nuts in a basil pesto and asiago sauce, for $13.95. Sweetwaters’ sandwiches and burgers are creative and diverse, offering long-time favorites such as a Reuben for $9.50 to the Blues Brothers Burger with options. With gorgonzola cheese and Green Mountain Smokehouse bacon, diners may choose a Blues Brothers Burger made of beef, chicken or black bean for $11.95 or splurge for the bison meat or Kobe beef for $14.95. Desserts are generous and decadent, from Maple Crème Brulée to Flourless Chocolate Cake to Apple Crisp made from Vermont apples and locally made ice cream, $5.95-$6.95. They also offers a full bar selection and specialty cocktails as well as a children’s menu. Sweetwaters has been a fixture on the southern end of Church Street since 1981. It’s where college students take their parents when they visit, and where alumni re-visit when in Burlington. It’s where you go when you want a great meal in a relaxing and beautiful atmosphere. It’s Vermont city dining at its best.